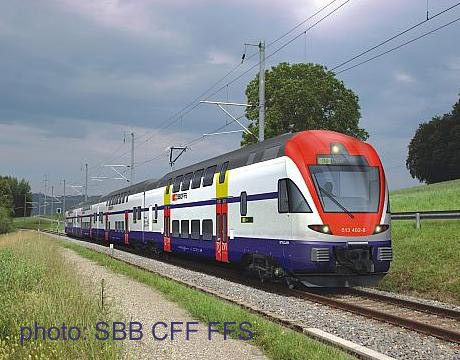 Stadler is to supply 50 double-deck trains for Zürich's S-Bahn for 1024 million franks. The order includes an option for 100 more. 121 double-deck coaches with low-floor entrance are also being ordered from Siemens and Bombardier for 360 million. The new stock will enter service from 2011. This news item is from the 2008 newslog.